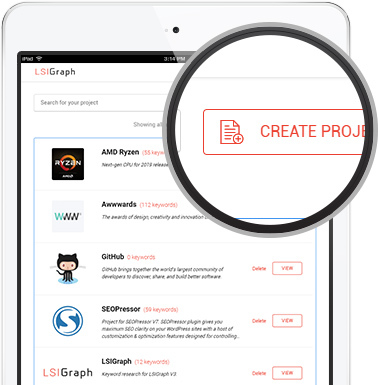 You Need To Try LSIGraph Today! More and more customers are turning to the internet to search for information on local businesses, and the number is climbing. Today, search engines are getting smarter in understanding the user’s search intent and needs. With that in mind, they sort the SERP accordingly with those websites answering the intent topping the results. For instance, a search query of “How to fix pipe leakage” might have more purchase intent behind it, whereas the user might actually be looking for “plumber near me” or “plumber in a specific location”. “eBay may be a shark in the ocean, but I’m a crocodile in the Yangtze River. Embracing local SEO makes you the crocodile in the rivers within your country, state, city or neighborhood. Running an online business, keeping your website up to date, and putting in time and effort to manage your website’s SEO can be a lot of hard work. You might already have a steady flow of loyal customers, but we always want to create more; attracting a stream of new people, especially the locals. If your online marketing strategy is not embedded with local SEO, you will be left unnoticed and may miss out on a huge portion of local businesses. Whether you are a single or multi-location company, you will seamlessly grow your business and attract more customers by using the local SEO strategies. Don’t know how should you get started? You’re in LUCK! 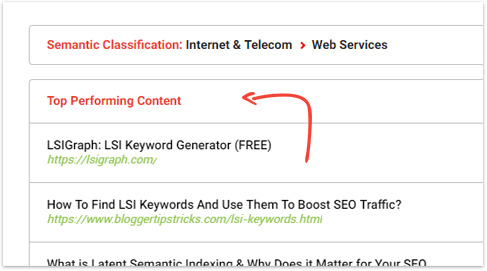 BONUS: You can also export your LSI Keywords and show it to your clients or peers! These days, I’ve managed to achieve quite a bit of success. I’m able to rank first on Google, maximize my traffic by 10x, enjoy conversion of 354% every month, and fully enjoy the benefits I’ve harvested over the years. lessons, hardships, and obstacles everywhere. So many times that I was ready to give up. Like so many other businesses, I invested a small fortune in the company and worked like dogs.. often sleeping at the office, missing meals and essentially working around the clock. Of course. You’ve been through these miseries that no one else but you would understand. The release of Hummingbird and Rankbrain has made Google become exponentially better at determining the quality of contextual relevance of a page in regards to a user’s query by understanding the relationship of related words and phrases. Google is basically asking, “Which pages are providing the most holistic, in-depth answer to a particular user’s query?” Good question. Let’s dive deeper. 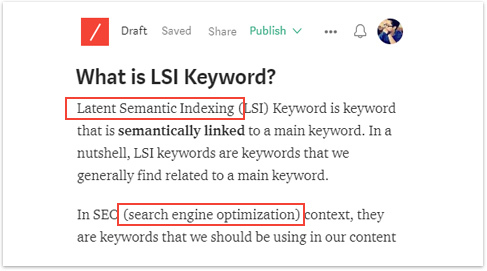 Ever since the dedicated team and I started LSIGraph, I received tons of emails requesting for me to include monthly search volumes, unlimited keyword research and so on.… but more importantly, majority of you asked which LSI keywords you should be using. I heard you. Loud & Clear. To date, we have over 100,000 happy subscribers. 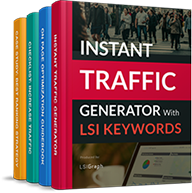 We've tried a lot of different stuff, and found out LSI keyword is by far the one strategy that is proven to work and is cost effective in the long term. Over the course of six years, we have collected and analyzed over 23 million LSI keywords in our database. Mind you, it’s not just any random keywords, but Semantic LSI Keywords (...exactly what Google wants)! Which separates us from the average keyword research tool out there. So for the past year, we spent time analyzing and engineering 23 million rows of LSI keywords and their search performance. All because I wanted to further enhance the usage on which LSI keywords people should be using in their sites. The result? 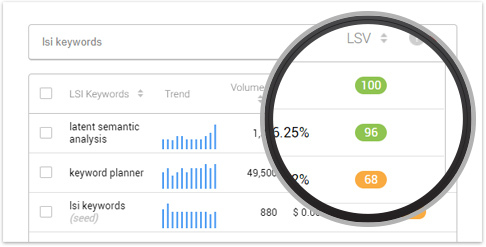 We’ve successfully come out with an algorithmically proven formula called Latent Semantic Value (LSV) to help you identify the most profitable LSI keywords. Yes, your solution lies in this tool today! 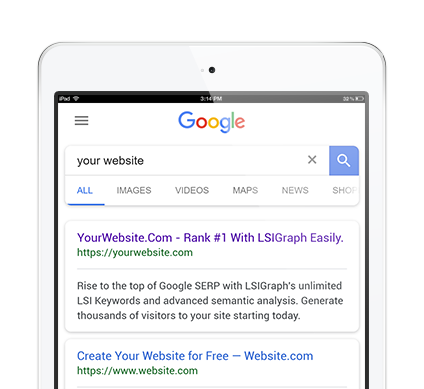 LSIGraph is your ultimate all-in-one LSI keyword research platform that is designed to provide actionable data to help fuel and recharge your keyword research and search marketing campaigns. Armed with the right data, SEO’s, digital agencies and bloggers alike can prioritize their plan to success and discover keyword ideas to level the playing field in some of the most competitive verticals. For years, I have tested different formulas in formulating profitable LSI Keywords to be used in our content ever since the evolution of Google has changed the way website rankings work. Here’s What It Has Done For My Business. These are the results I’m celebrating now! Ranks, traffic, conversion and everything else! My sites traffic have shot up by more than 800% after I have implemented LSI Keywords with the highest LSV. AND the traffic is still growing. In fact, I have been analyzing it since the year 2016 until today and I am certainly confident in telling you that it works in turning your website into a success story! There are millions of LSI Keyword out there, but how do you know which one is profitable and should be used in your website? You've come to exactly the right place because we found the best answer for you! So, are you ready to start dominating the most profitable LSI keywords in your niche? Use them smartly for content creation, search engine optimization, pay-per-click advertising or other marketing activities. Discover all the great benefits of upgrading to a Membership. 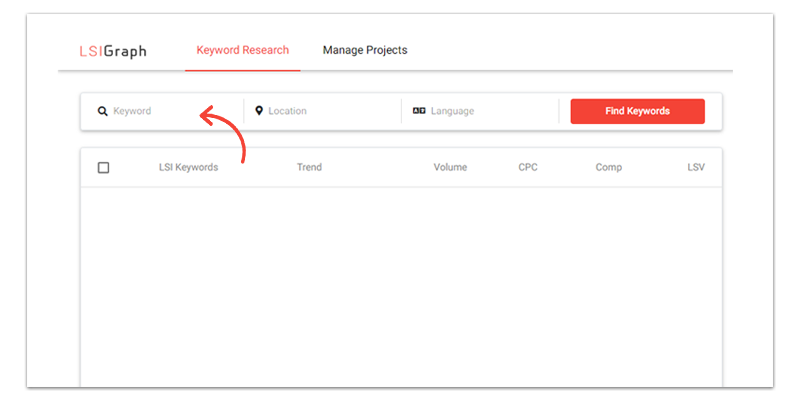 Keyword research can now be a breeze and edging you closer to success! And anyone actively looking to improve their rankings and get massive quality traffic to their site. LSIGraph now lets you select from 45+ languages and over 100,000+ location worldwide, all for your local SEO wins! Search location matters because local searches are usually made by those ready to convert. That is why you need to find keywords that speaks the loudest in your local area. And LSIGraph got you covered! NEW! 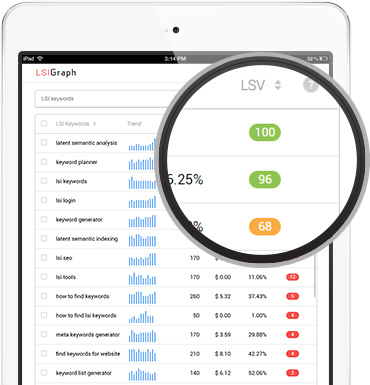 LSIGraph emulates how search engines understand your keyword & topic and shows you what they are looking for. Discover successful content with high engagement rate to further your content ideation and ranking potential. 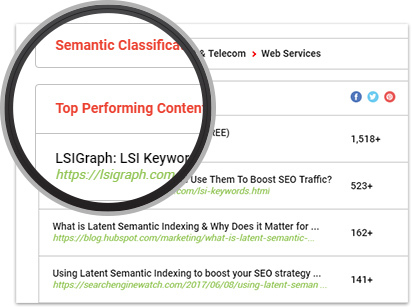 Organize your LSI keyword and explore the next exceptional idea for your content. 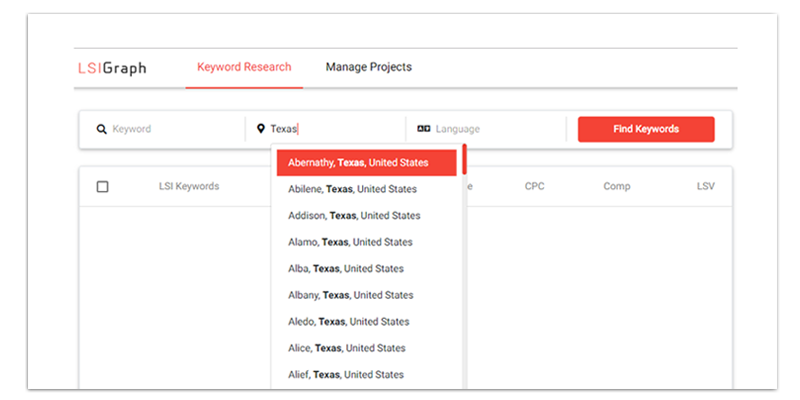 You’ll be suprised at how easy it is to use LSI keyword in your content when you have the research done for you in advance. This will be the perfect tool when you are in the industry of serving multiple SEO clients. 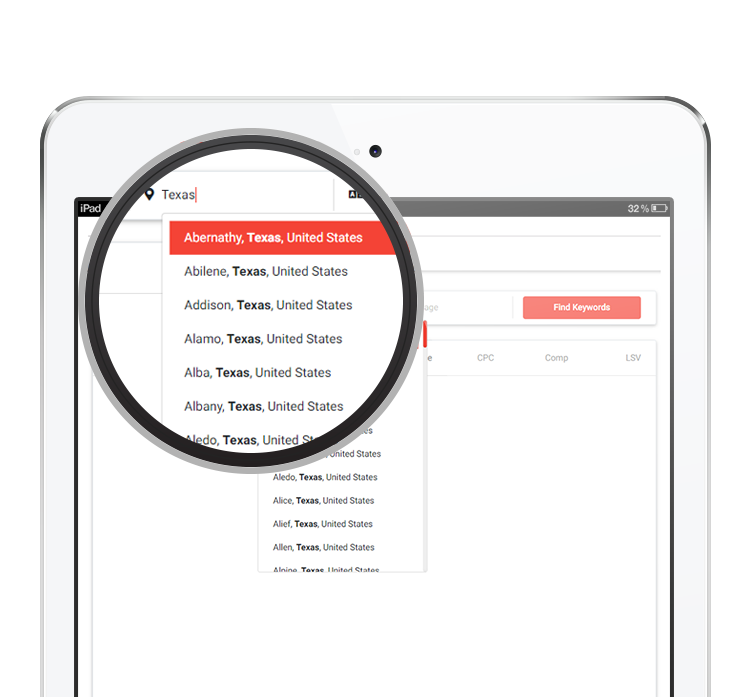 Utilize the project management feature and generate unlimited exclusive white label reports at your flexibility. 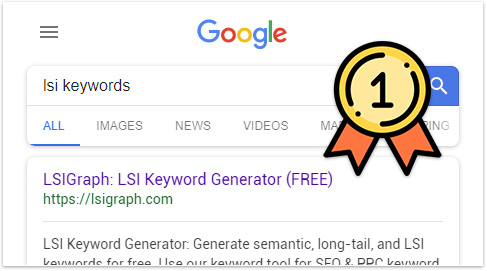 One of the most difficult decision after getting your LSI Keyword is identifying which keyword is valuable and competitive that you should optimize for. Get data-proven answer to this million dollar question with our Latent Semantic Value (LSV™) formula. Also, we are not done yet! There will be more new features coming soon to your dashboard. It's an unbelievable deal and one that you must grab if you are a SEO practitioner, digital marketer, blogger, writer or entrepreneur. You really can’t afford to miss this one small investment where you can unlock unlimited access to this upgraded LSIGraph. I can’t wait to see you inside and help you achieve significant results as I do! Here are some of the testimonials we've collected over the months. Exclusive bonuses to maximize your traffic potential. Subscribe now and get these for absolutely FREE today! I am 100% confident you are going to LOVE this tool but if there is any chance that isn't what you thought (highly unlikely)... I'll refund your full money today, no questions asked Guaranteed! 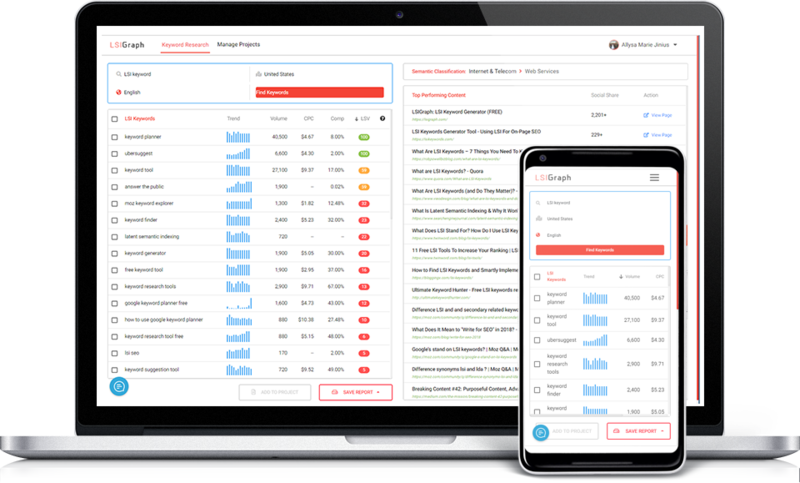 LSIGraph is a simple tool, dedicated to providing actionable data to help fuel and recharge your keyword research, content and search marketing campaigns. What separates LSIGraph from other tools? We are the only semantic focused keyword tool in the market. Not only that, LSI keyword research works best when you have a thorough context and you can only do that with the unlimited keyword research we’ve provided. We also engineered our very own formula and algorithm called Latent Semantic Value (LSV) that you really should know of. How Many Languages Do LSIGraph Support? Does LSIGraph Support Local Search? Will I Receive Free Updates To LSIGraph? All active customers will have free access to all future updates that comes together with your subscribed plan. There is no contract, and all plans can be cancelled or adjusted at any time. Yes, we have a 30-day money back guarantee. You can easily reach us from the user dashboard. You may pay for your LSIGraph subscription with a credit card, PayPal or a bank issued debit card. Will I Be Able To Get Billing Information? I don’t have the urgent need for higher ranking now... let me think about it.